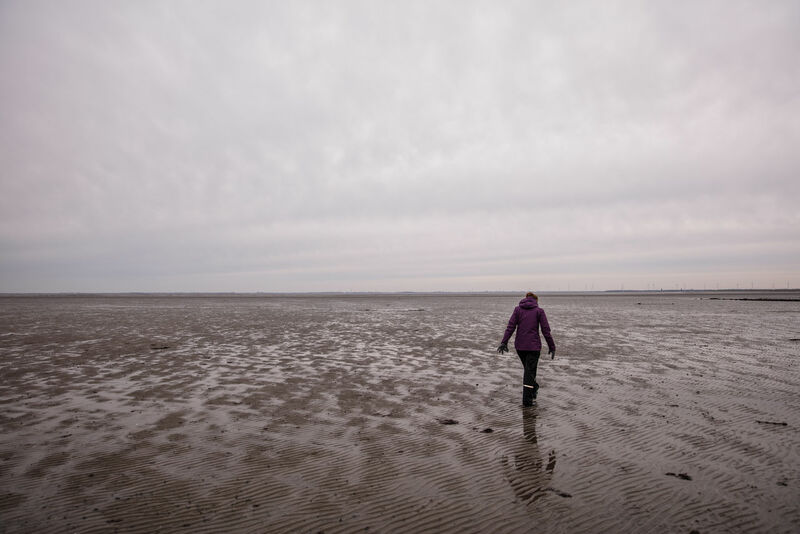 If you have ever sloshed your way through the Wadden mud in your wellies or gone out in a boat to spot the seals you are bound to have seen them: the sand and mudflats which emerge at low tide and disappear again when the tide comes in. 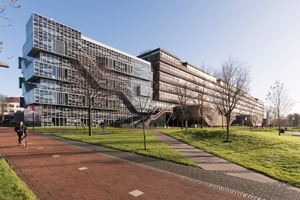 Although the biggest and best-known of these intertidal zones are located in the Wadden area, they can also be found on the west coast, for instance in the Westerschelde and Oosterschelde estuaries. But more and more intertidal areas are under threat. Rising sea levels are one reason, Maan says. ‘Areas that are stable at the moment may not be able to keep their heads above water in future.’ Human intervention is also a factor. ‘Dams are blocking the transport of sand and mud particles (sediment) to the estuaries. At the same time the waves are eroding the intertidal areas by washing away the sediments. 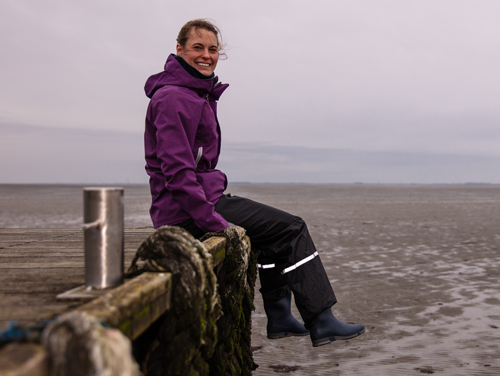 In order to understand how intertidal mudflats occur or disappear Maan studied their so-called morphodynamic evolution: the interaction between water and sediments during transport and sedimentation. ‘Computer models can tell us much about the growth or the shrinkage of an intertidal area. But to influence the whole system we need to properly understand the results. And that is not straightforward as all the components, such as the strength of the sea current, depth, the position of the dikes and sediment supply, impact on each other. The research results showed that the interaction between seabed level and the strength of the currents and waves are important shaping influences on intertidal zones. As a consequence, the typical evolution of the seabed depends on whether the bed is eroded by waves or by currents. ‘Areas that are exposed to currents are typically more dynamic than areas exposed to waves. The distance between the gully and the dike is important tooIf the gulley and the dike are far apart, the flats either build out towards the sea or retreat towards the land. If the gulley and the dike are closer together, as in the Westerschelde, the area will be more stable,’ Maan says. In order to preserve the intertidal zones dam and dike design should incorporate a systems-based approach, Maan says. This means a greater awareness of the fact that the various components of a system are interconnected and influence each other. It’s a relatively new way of looking at hydraulic engineering which is slowly becoming more popular.